How to combine laboratory expertise and high Technology Company for new solutions? Working on several innovative projects for ages, I am convinced that the innovation process benefits from ecosystems that mix up ways of thinking and facilitates an open-minded mindset. The question is how to create momentum among organizations that have different challenges, DNA and culture. In 2010, we started to think about it and tried to identify some connections with some research laboratories. However, the research sector in France is often affiliated with Universities that don’t have a direct access to the industry and the market. Due to this fact, a lot of ideas and innovations are not promoted and deployed. What a delightful challenge to connect these worlds so far from each other. And you know what? It’s working! I have the pleasure to introduce to you the innovative wedding in Bordeaux”. 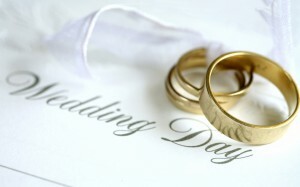 The wedding occurred in the middle of 2010 by the signature of a partnership agreement between Sogeti and the Laboratoire Bordelais de Recherche en Informatique (LaBRI) . The aim of this cooperation plan was to create a common basis of R&D leading to the development of educational programs relating to new technologies. With this partnership, Sogeti has the opportunity to facilitate access to new models and algorithms for innovative research projects. The benefit, for the LaBRI, is to work with an IT services company in order to implement research work in the real world and to package industrial solutions. Several projects are currently underway in very diverse areas of technology. For example the “Multibox” project heads towards the deployment of a “Media Ecosystem” by proposing a comprehensive architecture with innovations and evolutions for the common actors of the Networked Media Value Chain : the Content Providers, the Service Providers, the Network Providers, and of course, the End-Users. The project challenge is to propose an open and modular architecture to support the easy creation and deployment of such a networked “Media Ecosystem”. In this example project, LaBRI is the project owner, and Sogeti’s team has made various developments to skills primarily on mobile. “Octobre bleu” is an another way to work. 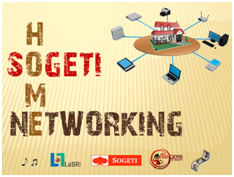 This project, which is being launched, is piloted by the operational Team from Sogeti. The objective is to package application components for video and sound analysis. 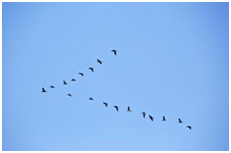 Different business cases are concerned, from the monitoring of public areas (trouble comportment detection) to the observation of animals during migration periods. In this second project, the LaBRI presents expertise regarding the treatment of video data. Two more partners were onboarded on the project, and one is a local customer, and the second is an association. Another new way to expand the ecosystem ! “Plate-forme mutualisée” is the last project being launched. The objective is to build a shared platform providing Big Data services. This platform will give the opportunity to projects teams to have an experimental environment, on the cloud. Incorporating the Group in 1997, Dominique has specialized in the development of new technology projects on architectures of components or third party software (WCM, ERP, CRM ...). He participated in the CMM-I certification of an accelerated development center for this kind of solutions. 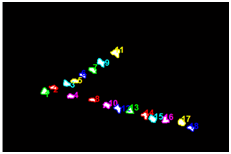 and create the specified factor very quickly with the help of gems.